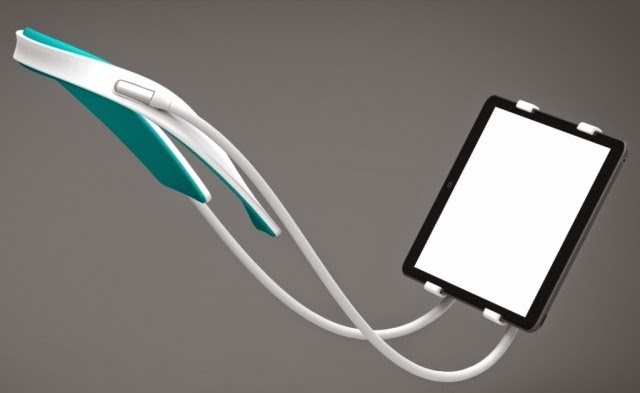 Neckset is a product that makes mobile communication, video calls and smartphone handling easier. Works as a third arm, while using your smartphone you can use both your hands for doing something else. During our daily life we bumped into the problem. Imagine the situation when you’re walking on the street, need GPS navigation but also have big luggage to carry. Who holds your smartphone then? NECKSET. Neckset is designed as an accessory that helps the multi-functional and constantly extending ways of using smartphones. Neckset is the result of years of hard work put in the project to design a comfortable, easy to wear accessory. Neckset is compatible with almost every kind of smartphone but also has a big brother for tablets. The console is movable in all directions in order to use it in a large number of situations. There are several moments in life when Neckset can be useful. For example: cleaning, taking video at your child’s school performance, breast feeding, indoor biking, and a lot more. For all the listed situations you get the specific product but that is a lot of money. Instead you just need to get a multi-functional Neckset and your problems are solved at a much cheaper price. On 6th of October, 2014 a campaign has been started for Neckset on Indiegogo, hoping to collect enough money to start the production of Neckset as soon as possible. So what you need to do to get Neckset? You just fund the project on Indiegogo and you have nothing to lose. Why? Because the project is with Fix Funding, meaning that they only receive your money if the whole amount of the campaign is funded. In the other case you get your money back. • Fund Neckset campaign on Indiegogo! • Wait for the campaign to end successfully! • Get your Neckset from Indiegogo!